From ‘around the clock’ cleaning to daily or weekly services… contract commercial cleaning is our main service. Your local CrestClean team are experts at contract cleaning. Our Regional Managers are your direct point of contact. 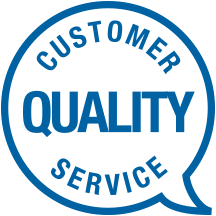 They are responsible for assuring the quality and reliability of our cleaning service. Cleaning is carried out in strict accordance with the ‘Schedule of Duties’ that is provided with every quote and approved by you prior to the contract commencement. Cleaning service times are agreed in advance and the itemised schedule ensures you get exactly what you need. Every site has a dedicated Communication Book for “day-to-day” messages and to log additional requests. Communication is an important part of customer satisfaction. All personnel are trained to respond promptly to customer requests and instructions. For large-scale premises we also create site-specific Quality Audit documentation to meet the site’s individual requirements. A clean, safe and hygienic workplace is not only a legal requirement; it can also improve staff productivity and reduce absenteeism, with fewer days lost to sickness. Workplace environment research indicates improved cleaning can decrease absenteeism by preventing the spread of illness in the workplace. There is also a direct link between better cleaning services and increased productivity. Protect your workplace against the flu, viruses and other illnesses. Coughs, colds, the flu and other viral illnesses can rapidly spread in a workplace environment. Cold or flu germs can live for a long time (up to 48 hours) on surfaces like doorknobs and objects people touch with their hands. It is important to take precautions to prevent employees from contracting and spreading any viruses or influenza. 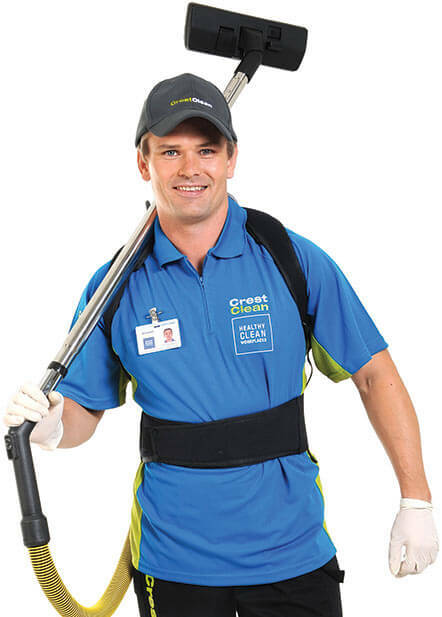 CrestClean personnel take care with how waste is disposed. We don’t offer a waste removal service, but we do assist our customers to operate good practices around recycling and waste reduction. Many of our customers have waste reduction and recycling systems in place, and our cleaning teams can assist our customers to operate these systems. We often manage the daily collection of waste and recycling, depositing it into the correct collection points.